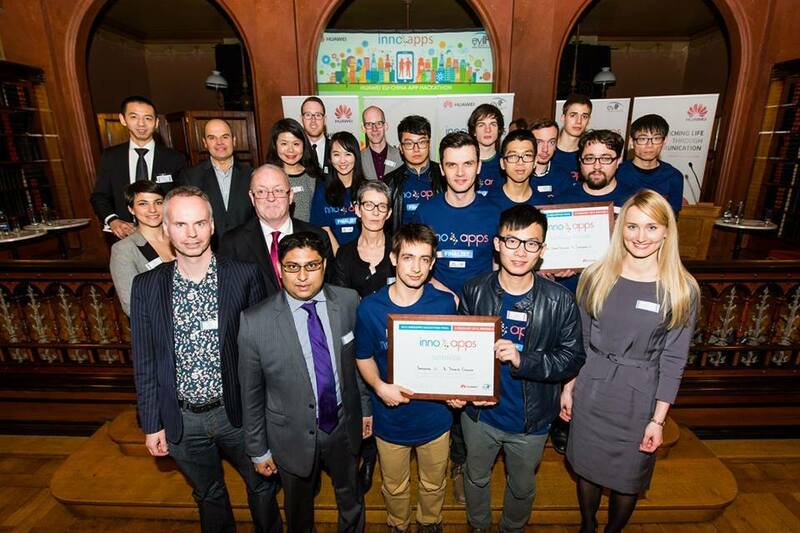 The European Young Innovator Forum and Huawei have partnered up again to organise another edition of InnoApps. I think this one is their 3rd edition – let me give you a few details about it. I will try to convince you to participate. Everything written in this article describes last year’s competition. This year the organisers might do things differently, but read this ’till the end and then decide if you like the event. The first part is a battle of ideas. All participants submit their app idea and motivate why their idea makes cities smarter. Please keep in mind that any good idea can help cities in one way or another. For example, the idea that got 2nd place last year was an app that recognised birds using their unique chirp or sound. This idea made a city smarter by making zoos smarter or by using the same technology to prevent or detect malfunctioning pipes in the city (by detecting changes in how they sound). Pretty clever! Another example is the idea that got 1st place. It was like a social network that helped people meeting up at local events. Sorry, I forgot a lot of the details, but the bottom line was that it made cities smarter by making events in the city smarter. I’m sure you also have a good enough idea to participate. Honestly, it is more important that you care about the idea and that you have the passion to work on it and it is less important just how well it fits in the general theme of the competition. If you have an idea that makes cities safer or is just a good IoT (Internet of Things) idea, or simply put, an idea, I think you are good to go! If the prizes don’t entice you (20k or 15k) then maybe the fact that you get to hang out for a week with amazing people, including some great mentors will make you participate. This is where we get to the second part. The second part was amazing! The organisers picked the best ideas and gathered all participants in Brussels for a week. They took care of all expenses, including travel. During this week each european participant was paired with a chinese participant. As a team, we were mentored until we had a working prototype and a good startup pitch. Don’t worry, the working prototype was nowhere near as important as the pitch. This is a very special skill: to be able to present a business idea to a group of investors. I say it’s a special skill because you need great mentors to educate this skill. This is what this competition is great at, and this is what will be your greatest prize; not the money; not the free vacation. Why do they train you to give a good pitch? Let’s get to the third part. All the great work you do with your colleague leads up to this point, where the idea is presented to a jury as part of an event. The jury judges the idea and the presentation based on moral issues, security, usefulness, and last but not least, how feasible it is. As long as you can make your app stand our as far as innovation and sustainability go, you have a very good chance of winning! Don’t stick too much to your guns, though, because the mentors will most probably steer your idea on a better path than you originally imagined. You might not even recognise it in the end. You are there to learn, so listen up! Ok, so does this sound like a good story? Are you convinced that you could participate? Do you have doubts that you can muster up an idea? Well, here comes the last part. I tried to make this article as interesting as possible and gave you a lot of inside stories. I know all these things because I participated last year. And it was amazing. I was lucky enough to get 3rd place, together with my colleague Jiancheng Li. I had a great time in Brussels and kept in touch with some of the participants. Our idea helped museums offer tourists audio guides. It sounds simple because it is. I don’t consider it a revolutionary app idea but it got 3rd place. What you need to understand from what I am saying is that your idea might be a winning idea and all you need to do now is just fill out a form. You can make a video to describe the idea, but if you don’t have time for that, then at least fill out the form. I hope you liked my story and decide to give it a shot. And congrats to the InnoApps team for organising a new edition.